Salt air, cool breeze, swaying coconut trees and long stretches of unadulterated beach… no wonder living in Goa seems like a 365 day vacation. However, for the less fortunate mortals like us, we have holidays, and that’s when we try to get a piece of this paradise. Living in Mumbai has its perks, because a vacation in Goa is only a few hours away and it hardly needs any planning. 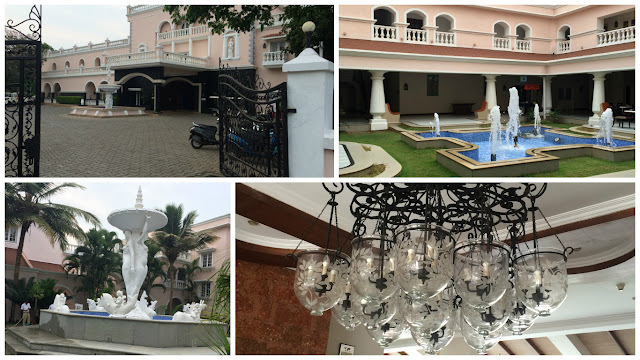 Last month, I went on an impromptu trip to Goa. 7 days of unadulterated fun on the beaches of Goa is something dreams are made of. And that is exactly what we had planned for. Having seen and done it all in my past trips to Goa, my agenda on this holiday was simple. Take long strolls on the beaches, play in the sand, indulge in some water sports, hog at the tiny beach shacks, watch the sunset and simply relax. And that is pretty much how we spent our holiday. Scroll down to see glimpses of my Goa trip. I bought new flips flops for my Goa Trip. Aren't they cute? We stayed at two resorts, during the 7 days holiday. But the first resort, the Emerald Palms Resort at Varca, was my favorite. It was comfy, compact and beautiful. I especially loved the decor of this hotel. 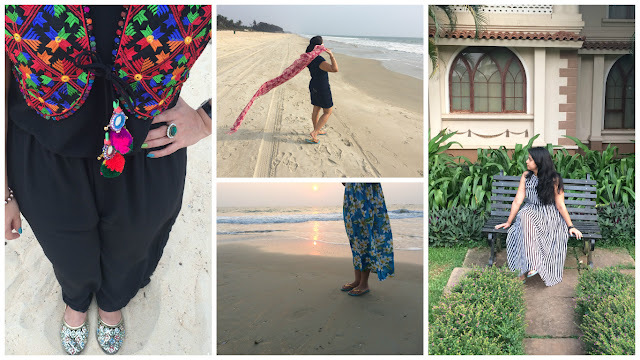 I completed the So-Saree ritual that I follow on each of my beach holidays. 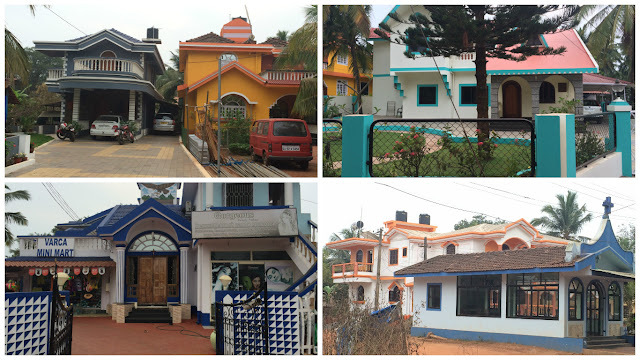 We all know, Goans are colorful in spirit and being, and that clearly reflects in their houses too. Aren’t these houses gorgeous? I went Scuba diving in Goa for the first time, and it was a beautiful experience. Pin drop silence surrounded by clear blue waters and beautiful colorful fishes. For me it was a very spiritual feeling. 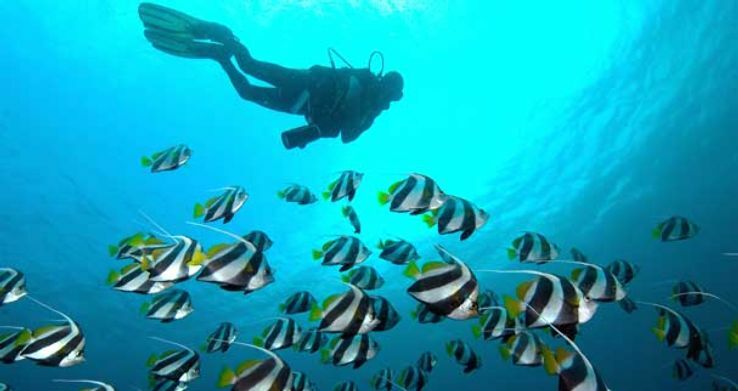 I was surprised by the safety procedures and the professionalism of the scuba diving companies in Goa. I totally recommend it to everyone who visits Goa. Sipping on fresh fruit juices watching the beach and sunset gives me a different high. Whoever said you need alcohol to get high, needs to revisit their statement. The food at the tiny beach shacks is something you should never miss on your Goa trip. The food is yummy and has different flavors. Sunsets in Goa are a treat to the eyes. Every evening, when we walked towards the beach, the sky appeared different. Thank God to technology, I could capture these moments and preserve them for lifetime. And then I found some time to play dress up and take pictures. Did you know that the Indian epic Mahabharta has a reference to Goa and refers to it as Goparashtra or Govarashtra, which means a land of cowherds? How cool is that!!! I am so jealous of you! Wished I lived in Mumbai... I would have left for goa every weekend! Awesome pictures! Oooh wow! U went to Goa. I wanna go too! Love your cute slippers :) and that sign on the beach. Glad you had so much fun in Goa, I haven't yet tried Scuba Diving in Goa, perhaps the next time I'm there. Welcome to a soulful experience of vacationing in India, the cradle of ancient civilization with rich cultural heritage . Experience the sights and sounds of its amazing diversity that is embedded in its geography, people and their cultures. Explore the gifts of nature and the timeless marks of man-kind that dot the landscape of this country. Cool hill stations, wild-life, adventure spots and beaches provide one of the best vacations that you would have anywhere in the world. We provide you best and fast service to make your trip more comfortable to you can easily enjoy our services. Your blog provided us with valuable to work with. This place looks really good and you captured awesome pictures in your travel trip. Thank you so much for sharing this post! Keep posting! !